City living is full of options – always growing and changing. 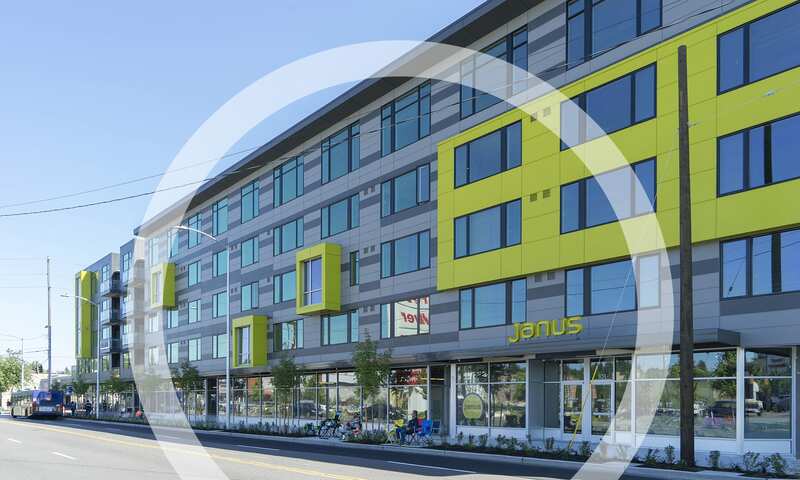 And Janus is part of it – in the artful and eclectic neighborhood of Greenwood, just 10 minutes north of downtown Seattle. Where a kinetic art piece anchors the property – serving as a constant reminder of life in motion. Here you’ll find studio, one- and two- bedroom apartments facing either the hustle-bustle of the urban life, or the quiet-calm of neighboring homes. It's a bit of both worlds – all yours to explore. Which side of Janus speaks to you?